Poppy is a typical young Staffie with incredible springs in her back legs! She is sweet as pie if a little over-excitable and a little anxious. Poppy lived with children but can get a bit boisterous around them so kids more steady on their feet would be recommended – minimum 8 years old preferred – kennel staff will assess suitability of the children around Poppy and families will be expected to meet her a couple of times before she goes home. Poppy is unsure of new dogs, we’re helping socialise her here at the kennels but she’d really love a home where she can meet new dogs in a calm and sensible manner – not just let off lead to fend for herself in the park! Poppy has met one cat in her life and was OK with it but we could not guarantee suitability around cats in the home. Poppy’s previous family advised that she can be destructive if left for long periods so we’d be delighted to find someone home during the day, at least initially, to help her settle in. 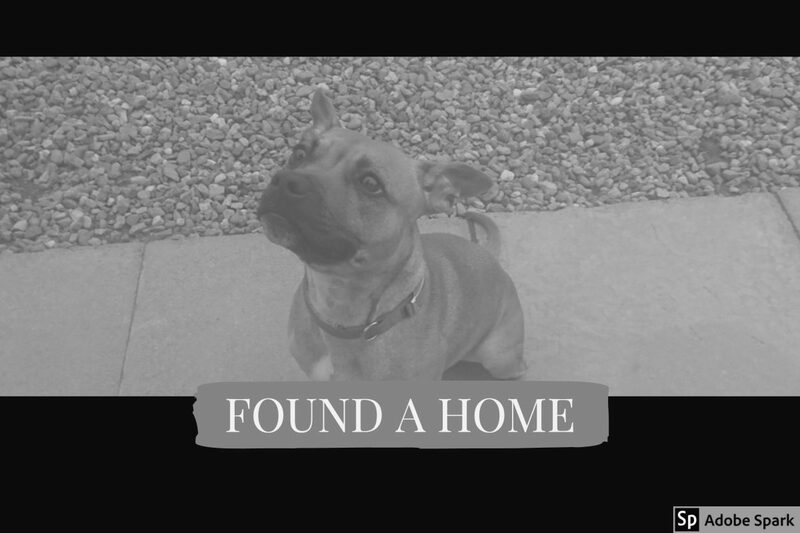 This entry was posted in Found a Home and tagged Adoptdontshop, Rescue Dog, Staffie.